The SEHNSUCHT band was founded in Saint-Petersburg in 2008. It brought together like-minded young musicians to create trippy psychedelic freak-outs inspired by German Kraut-Rock, Hard-Rock, and Free Improvised Music. The current line-up features: Michael Linov (bass), Timur Samatov (guitar), Boris Popov (drums), and Catherine Lutsevich (keyboards). Please visit SEHNSUCHT MyspaceMusic page to stream their tracks and leave your comment. "The band has done a great job of putting together a cohesive set of music that definitely has all the elements in place to keep the average space/psyche rock fan happy. The majority of the album was cut in a single session, so there's clearly a 'live' feel permeating throughout this disc. In fact the album comes across as one, big, glorious jam session. They kick things off in splendid fashion with a monumental slab of brain melting, doom encrusted psychedelics, with the scorching, eleven minute title track. This song can be viewed as springboard for the rest of the album, and it also provides a fabulous glimpse into the abundance of talent surrounding these four young musicians. Over the course of the album the listener is treated to a wealth of densely layered textures and moody atmospherics. The rubbery sounding bass lines and vigorously, fluid drum work, collide effectively with a multitude of crunchy guitar riffs and the ever present, over the top, synth washes. When you put it all together it's an almost fifty minute, mind altering voyage to the cosmos. Wachstum is definitely an impressive, opening statement from these Russian newcomers. As the title implies, there's still room for growth and development, however, the overall level of maturity displayed within the arrangements and the writing, as well as the performances of the musicians themselves, should not and cannot be overlooked. A thoroughly entertaining ride from beginning to end. 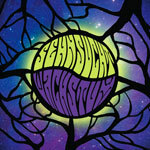 (Score: 4/5)" – by Ryan Sparks at Sea Of Tranquility (USA) (March 2011). 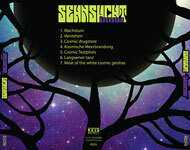 "Sehnsucht pulls its influences from the likes of Can, Ash Ra Tempel, Guru Guru and you can even hear the presences of the space rock demi gods Hawkwind thorough this album. The band has recorded an album of deft, dexterous music that skilfully and cleverly displays its prowess, with each repeated play offers something new in its sonic presentation. This is a hypnotically beautiful album that isn’t polished but remains adventurous yet uniquely raw. These guys may well be fairly new to the scene, but one thing that can be assured is that they are no pretenders. (Conclusion: 7 out of 10)" – by John O'Boyle at DPRP (UK) (March 2011). "A fine debut from a young band of musicians who have raided their parents’ music collections, and then brought what they have heard into the 21st Century. Fans of Amon Duul II-style krautrock, F/i or Architectural Metaphor drone-rock, or Oresund Space Collective spontaneous jams are likely to find much for them to enjoy in this album." – by Pat Albertson at Aural Innovations (USA) (January 2012). The album was also reviewed at: Prog Sphere (Serbia), Metal Library (Russia), iO Pages (The Netherlands), Musikreviews.de (Germany).